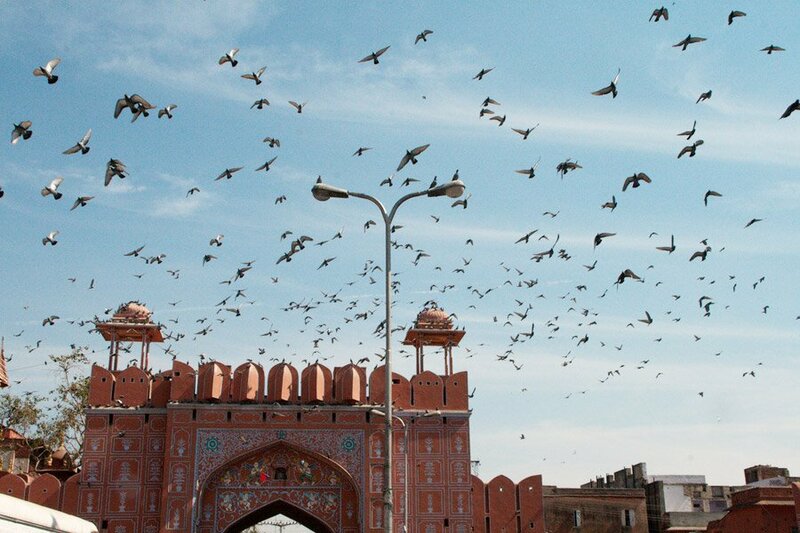 When you go to Jaipur, it's easy to get lost in beads, saris, and sweets. Surbhi Sahni and Hemant Mathur are married Indian chefs in New York City. He's the chef at Michelin-starred Tulsi NYC; she's the owner and executive chef at Bittersweet catering company (as well as the pastry chef at Tulsi). We asked for their favorite sources for local delicacies and hidden treasures, in Jaipur, the Rajasthani town they know so well. An unassuming, affordable joint in the bustling Janta Store Market run by an unassuming man (yes, his name is Sanjay) for the past 30 years. The menu features some 100 different egg dishes. Open in the evenings, from 6-11 p.m. Most people order from and eat in their cars. You cannot leave Jaipur before venturing into a pickle and papad store. There are several along Mirza Ismail Road (commonly known as M.I. Road), but this one is a local favorite. Pickles don't travel well, but chutneys do. (They don't have much oil, so spillage isn't a luggage problem.) Papad are dried crispy crackers that are fried just before eating. Stock up on several spicy or non-spicy varieties made with potatoes, soybeans, lentils. 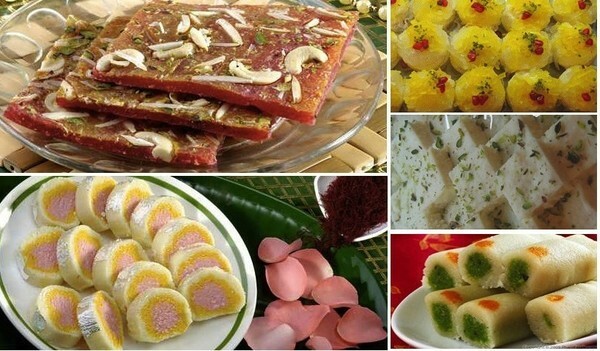 Traditional Indian desserts from Sodhani Sweets. Photos courtesy of Sodhani Sweets. Their highly addictive rasgullas (steamed cheesy dough balls soaked in syrup) are a favorite among locals. A sweet little shop that serves the two must-taste Rajasthani sweets: gulab sakhri, a rose and saffron-based sweet, and misri mawa, made with rock candy sugar and reduced milk. Of the many namkeen shops along Sauthali Street, this one's a family favorite. 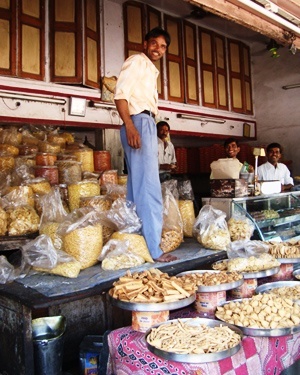 Namkeen snack mixtures usually contain puffed rice, lentils, nuts, and chickpea fritters. Sweet, salty, tangy, and spicy: They are a must in the Indian pantry. Ask the shopkeepers to give you a taste before you buy. Despite the name, the small shop is not famous for sambhar, a spicy lentil soup from south India, but rather for its phinis, exquisitely thin flour noodles eaten with sugar syrup or in sweetened milk. Finding this shop is a bit of a challenge: It's tucked at the end of a driveway behind Tholia's Kuber jewelry store. But it's great for antique silver bangles, Maharaja-inspired jewelry, and silk vests. Just like every shopping place in India, you'll want to go with plenty of time to sift through tons of pieces. If you persevere, you'll be rewarded with unexpectedly chic pieces at fixed but eminently fair prices. Most bazaar-savvy shoppers skip Johari Bazar's tiny shops in favor of the better bargains at Bapu. But if you clear a path through piles of silky sari fabric to the back of Roop Sagar, you'll find a surprisingly spacious emporium, where sequined skirts have been hemmed for their loyal overseas clientele. Don't be surprised to find foreign labels already sewn into the glittery garments. Roberta Freymann's bejeweled babes, which cost a small fortune on Madison Avenue, are priced so low here you almost forget to bargain. Don't! Bargaining is part of the deal. Hot Pink shop interior. Photos courtesy of Hot Pink. Marie-Hélène is a young French woman who designs Indian-inspired clothing suited to Western tastes. Her shop is located on the pretty grounds of Narain Niwas Palace, and her jewelry designs sell at the legendary jewelry shop in town, Gem Palace. Play dress-up at the hand-block cotton wholesale warehouse filled with fabulous frocks destined for faraway boutiques at prices far above the ones on offer here. Flowing, flower-printed coats cram the walls; sarongs and beach cover-ups make pretty piles on the floor. It's a skirt-induced euphoria, but don't overlook the excellent bed quilts. Camel leather and expert stitching makes these Indian sandals better than others. Although many stores sell them, Deepak's are the most comfortable and a bargain at the price. They come in fabulous colors and shiny metallic hues — well worth the extra hundred or so rupees. A former block printer for renowned artist Brigitte Singh, Rashid's home studio behind the City Palace produces wonderful quilts and clothing. Products made from the wood of the rare Rohida tree native to Rajasthan. Photos courtesy of AKFD Studio. A delight for those interested in Indian craftsmanship with modern designs. Established by Ayush Kasliwal, the furniture studio features high-quality, environmentally friendly pieces. Sunday by appointment. Originally made in Indian villages as dowry dhurries, the hand-knotted rugs were commercialized by the British and woven in the Bikaner jails. Today, their wool or cotton carpets can be custom-designed and made to order in about 90 days, by non-child labor under supervised conditions. Call ahead and go prepared to create, though there is a well-stocked cupboard for those who need inspiration. By appointment only. The city's oldest ceramics shop (trading since 1886) is a modest, family-run affair showcasing classic Jaipur blue styles. A quaint country club located in the middle of the Pink City with a small number of rooms open to non-members. Inset photo: One of many namkeen stores in Jaipur. Photo: Pavia Rosati. Married couple Surbhi and Hemant are, respectively, the pastry chef and chef at Tulsi in New York City. Surbhi is also the owner and executive chef of Bittersweet NYC.